After a few years of very sporadic use, and exactly zero miles over the past twelve months after changing the oils last July, it was time for Big Bird to fly again. Big Bird is my 2001 R1150GS, which I also sometimes refer to as the No BS GS. This bike has covered about 38,000 miles since new, but far too few have been logged recently. With all the high mountain backroad passes open after a long, wet winter, there was no valid excuse to not go for a day trip. In a rush to get going, I almost left without checking my tire pressures, a cardinal sin in my book. Once underway I was a bit cool traveling seventy miles-per-hour in 65-degree weather with only a T-shirt and a textile moto jacket, forgoing my liner, as soon it would be warm. As much as I have been modifying, using, and writing about 4×4 trucks in recent years, travel powered by two wheels is really my first love. 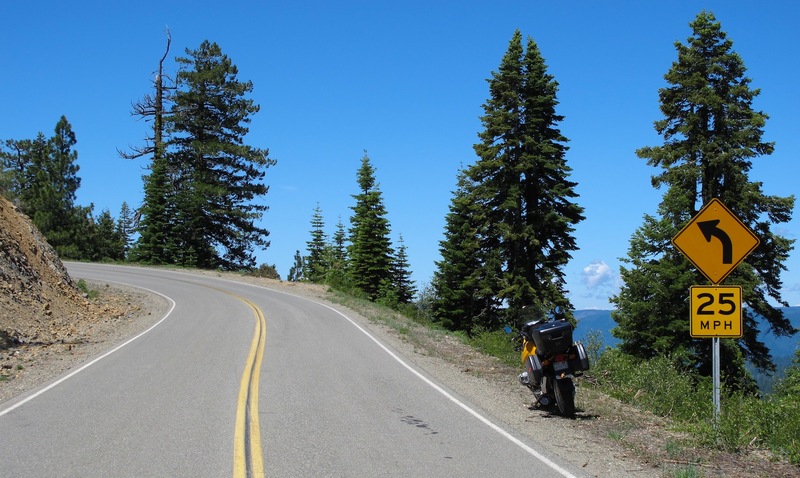 Typically all on-road, but my preferred terrain and style is not what many street motorcyclists would find pleasurable. 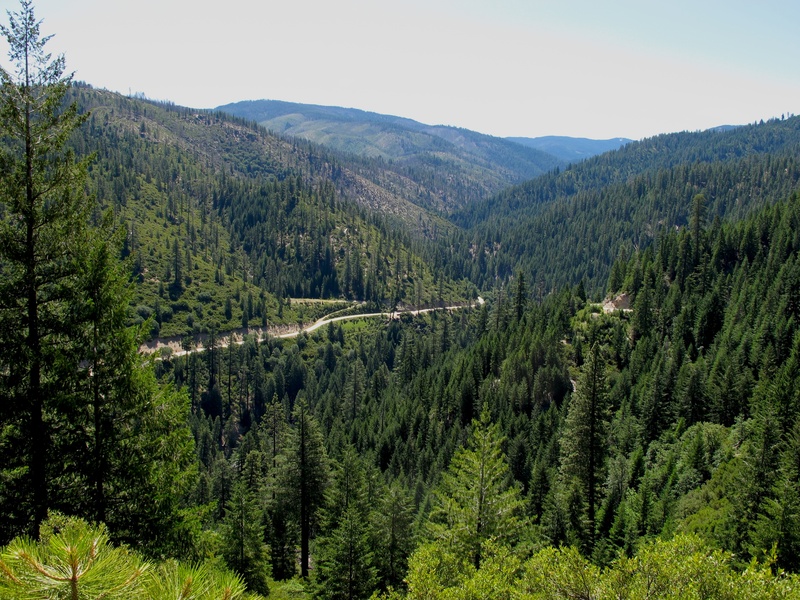 The narrow, tight, twisty, and sometimes rough back roads are my favorites, and often the pavement is in less than perfect condition, making an adventure-touring bike a good choice. 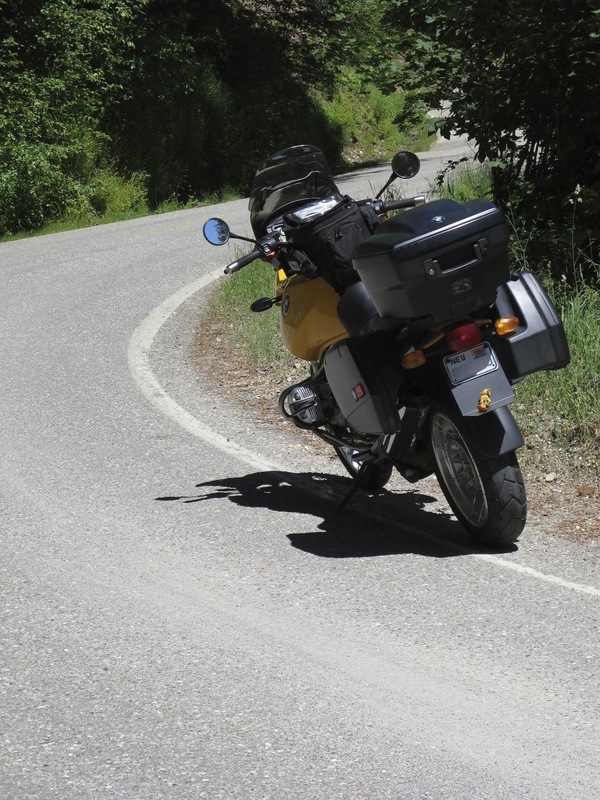 Compared to early riding-season trips in prior years, La Porte Road was very clean. However, the sandy debris in the right wheel-track in the photo above is a nice reminder that surface appraisal is critical. Even if you ride briskly it’s very important to stay below your personal maximum speed and skill level so you can artfully avoid hazards. Fun stuff. 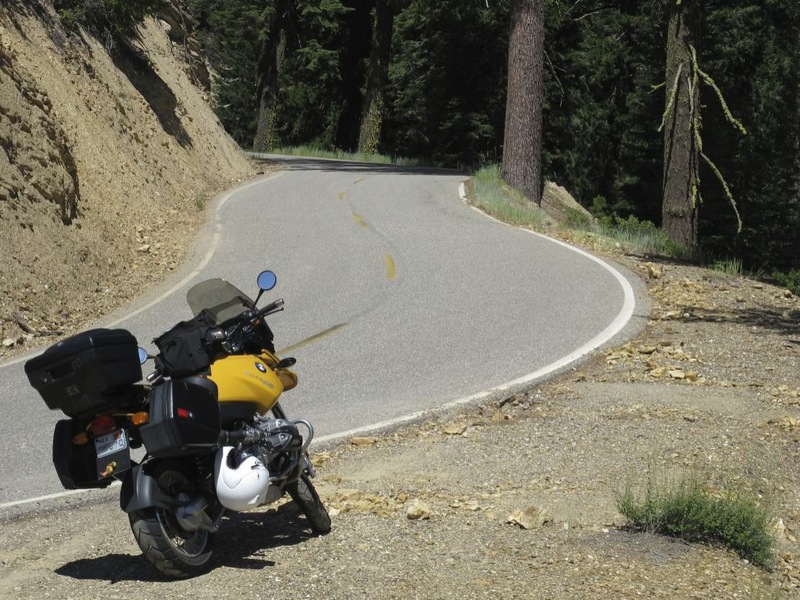 Anyone can ride straight, turning and stopping is where the fun and challenge is.